Moscow, October 22, Interfax - Head of the Ukrainian Greek Catholic Church (UGCC) Archbishop Svyatoslav accepts there is only one canonical Orthodox Church in Ukraine. 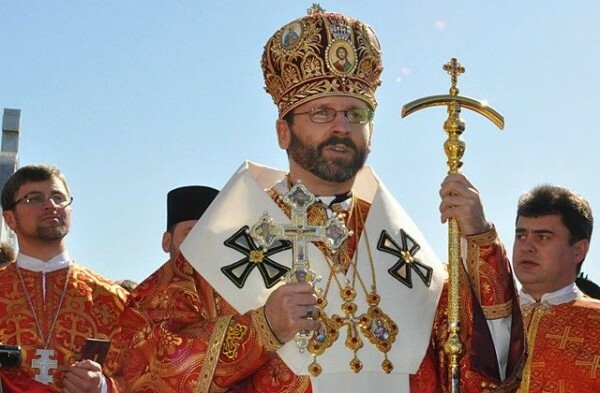 “Today it is no secret that the only canonical Orthodox Church in Ukraine, the one that fully communes with world Orthodoxy, is the Ukrainian Orthodox Church in unity with the Moscow Patriarchate,” Shevchuk said on the air of SiriusXM American radio station speaking to the head of the US Conference of Catholic Bishops, the UGCC press service reports. “These divisions in Ukrainian Orthodoxy are painful for us as the Western Catholic Church, but we respect canons and inner order of the Orthodox side. We have never attempted to interfere in inner affairs of the Orthodox Church, we have never discussed its canonical legitimacy or stimulated any community in order to separate it. Existing problems can’t be solved with news schisms, divisions or annexations,” the archbishop stressed. He hopes that these schisms will soon be healed. “We communicate with the ‘Kiev Patriarchate’ in frames of the public organization called the ‘All-Ukrainian Council of Churches and religious organizations.’ So I will call these relations public relation, not the church ones,” the UGCC leader said.